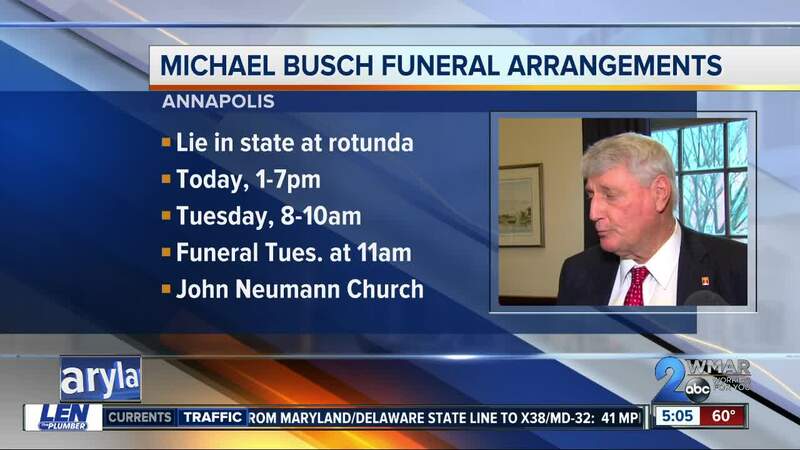 Michael Busch will lie in state at the state house in Annapolis Monday from 1:00 p.m. until 7:00 p.m and Tuesday between 8:00 a.m. and 10:00 a.m.
ANNAPOLIS, Md. 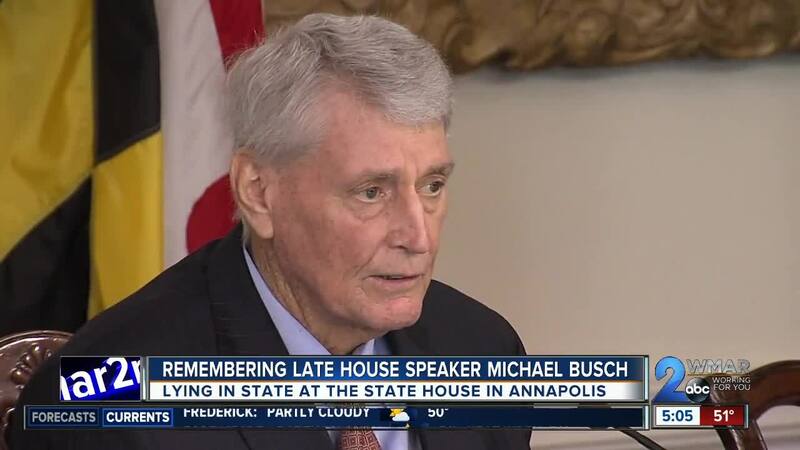 — Visitors will be able to pay their respects to House Speaker Michael Busch Monday. 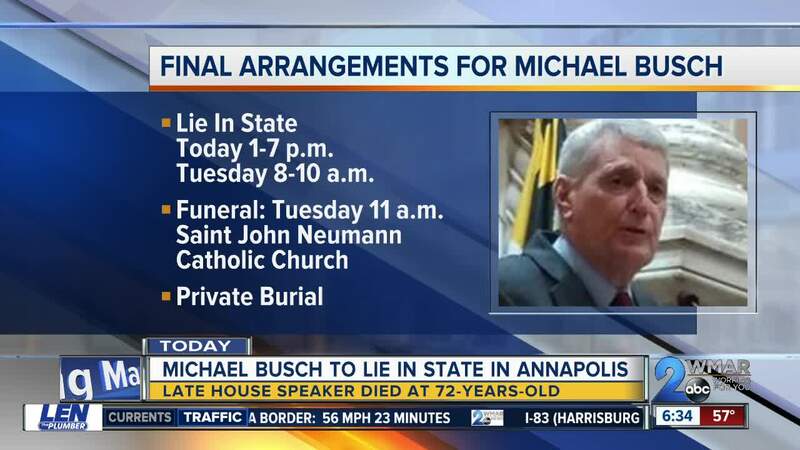 He will lie in state at the State House in Annapolis from 1:00 p.m. until 7:00 p.m. The House Speaker will also be there Tuesday between 8:00 a.m. and 10:00 a.m.
His funeral will follow at 11:00 a.m. at Saint John Neumann Catholic Church in Annapolis. Busch passed away April 7, less than a week after he announced he was battling pneumonia. Anne Arundel County Executive Stuart Pittman said county employees will be given four hours of administrative leave to pay their respects to Michael Busch. Anne Arundel County park entrance fees will be waived this week. Busch had a 39-year career in the Anne Arundel County Department of Recreation and Parks as a youth athletics administrator. He was elected to the house in 1987 and he served as speaker of the house until his death at the age of 72.